Expecting a Tax Return? Here’s How to Make the Most of It. Each year, nearly three-quarters of American taxpayers overpay on their federal taxes, resulting in a tax refund from Uncle Sam. Although amounts vary, the average U.S. households have received a return of $3,000 in past years. Instead of spending this extra cash, consider growing it! Below, we list some places to park extra funds. Potential savings: Placing a $3,000 tax refund in a savings account, at an average 0.08% APY, will earn you a not-very-impressive $12 over a five-year period. Potential savings: A $3,000 tax refund could grow by $315 over five years in a high-interest savings account paying 2.00% APY. 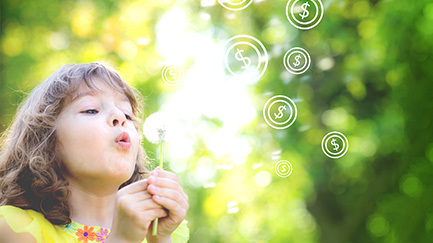 A term account, also known as a certificate of deposit, or CD, helps your money grow over time by locking in a designated interest rate for a pre-set period. This period ranges from six months to up to 10 years with typically higher interest rates based on longer terms. Although term accounts can earn interest at a higher rate than a savings account, it’s important to understand that withdrawing money from a term account before the maturity period, or end of the term, carries penalties. Therefore, term accounts are better suited to grow funds you can commit to longer-term savings goals. 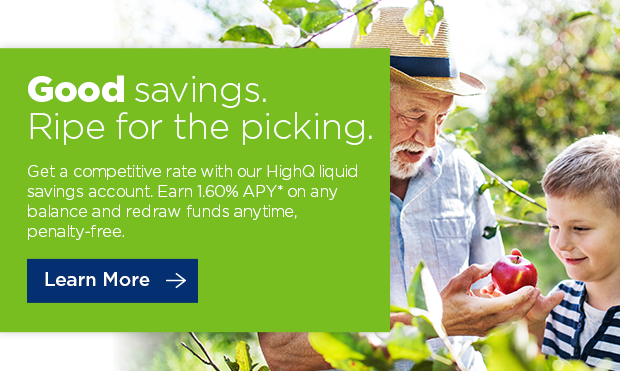 Potential savings: Opening a five-year term account with a $3,000 investment earning 3.00% APY could earn $485 in interest. An Individual Retirement Account (IRA) is an account designed for building retirement savings. There are two types of IRAs, Traditional and Roth, each with specific advantages based on your tax strategy. Traditional IRAs allow upfront tax-free contributions which are taxed upon withdrawal and Roth IRAs are taxed on the front end with earnings and withdrawals often tax-free. For 2019, the limit on annual contributions to an IRA is $6,000 or $7,000 for those age 50 or older. 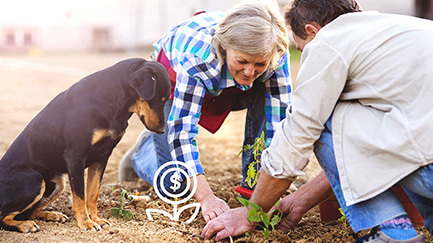 Potential savings: Actual savings vary widely based on the age you begin contributions, the type of IRA you select, the performance of the investments within the IRA, as well as the age you plan to retire. A $3,000 initial investment in a traditional IRA could grow to $4,502 in five years, $8,856 in 15 years, and $32,030 in 30 years, assuming an annual return of 7.00%, and no additional contributions. Access an IRA calculator to see how much more you could earn with additional contributions to your account. (Consult your financial advisor for more on Traditional and Roth IRAs; because an IRA allows you to choose from a range of investments as opposed to just savings and CD accounts, be aware that some investments—stocks, bonds, ETFs, and mutual funds—may lose value). Credit card debt has the potential to derail your future savings plans if not carefully controlled. A good credit card strategy is to pay your full balance off each month. Otherwise, paying just the minimum monthly payment could cost you over the long term. Potential savings: Although savings vary based on your specific situation, applying a $3,000 tax refund toward the current average American household credit card debt of $6,900 would yield substantial savings. Paying a full $6,900 balance off over two years, for example, requires monthly payments of around $330 and would cost nearly $1,000 in interest charges alone, based on an average 14 percent interest rate. Applying a $3,000 tax refund to cut the balance to $3,900 would lower monthly payments to around $180 and reduce interest costs by over $400 in a two-year repayment schedule. A rainy day fund helps you steer clear of the temptation to empty your savings accounts or use credit cards to cover the unexpected events life throws your way. By padding in an emergency account, you can help minimize the financial frustration of a flat tire, broken A/C or unexpected trip to the ER. Potential savings: Funding a $3,000 emergency account with your tax refund could help avoid future credit card interest rate charges, penalties for overdrawing your savings and more. Sending additional mortgage payments to your lender each year can cut down on the interest you pay and help you reach the goal of paying off your mortgage ahead of schedule. Potential savings: Assuming a $250,000 mortgage with monthly payments of $1,500,you could reduce a 30-year repayment schedule by over four years and save nearly $25,000 in interest costs, but making two additional payments (or $3,000) each year. Beyond the savings vehicles listed above, there are many additional avenues to help make the most of your tax return. Other options include home improvements, college savings accounts, charitable contributions and more. Regardless of the path you choose, as with all major financial decisions, it pays to do your homework and consult with a professional advisor.